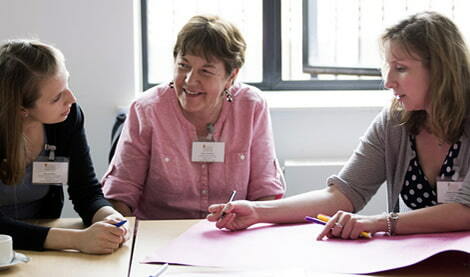 Earlier this year, AQA funded places for 12 teachers from social mobility ‘opportunity areas’ to go on a residential training course, run by The Prince’s Teaching Institute (PTI). The aim of the training was to improve their subject knowledge and learn some exciting new ways to teach. AQA decided to offer the places to schools in the most deprived areas – those with poor attainment and low social mobility where teachers might struggle to benefit from access to training and development. Teachers Alan Morris and Samantha Plant from Ormiston Horizon Academy in Stoke-on-Trent say they’ve been using the skills and knowledge they acquired to raise the aspirations of their students. Since returning for the new school year in September they’ve connected regularly with various other schools to share ideas around outstanding practice. They’ve also done some early engagement with local primary schools to ensure consistency and high quality teaching from early years education at Key Stage 1 to further education. “It’s great to be able to give teachers this opportunity. We decided to offer the places to schools in the most deprived areas, those with poor attainment and low social mobility where teachers might struggle for training and development. “We are so grateful to AQA for funding The Princes Teaching Institute course for two of our science teachers. The training has really motivated and inspired their classroom practice. Their tasks are much more student focused, which has led to greater engagement with the students in the classroom. AQA will be funding 12 more places on a PTI residential course in February 2019. The schools chosen for the course are in line with the Department for Education’s 12 opportunity areas, aiming to boost social mobility where it’s most needed.